Play a fantastic No Wager Free Spins Bonus at Videoslots. It is next to the Slots Million Casino the largest online casino in the world. Here you will find a good selection of online slots from more than 60 famous games providers. These include for example Playtech, Microgaming, ELK Studio, Merkur Gaming, Play’nGo, Netent or Big Time Gaming. The Videoslot Casino not only has a unbeatable selection of slot machines, but also a wonderful welcome bonus. You get the bonus when you sign up and make your first deposit. Then you not only get a 100% bonus with your first deposit, but also the 11 no wager free spins and 150 extra spins for free. The minimum deposit for the No Wager Free Spins, Extra Free Spins and the 100% Bonus is £10 only! The winnings from the initial free spins are without further wager conditions! Whatever you win is definitely yours! It is definitely worthwhile to visit the Videoslots Casino. Here you can play slots like Book of Dead from Play’nGo, Extra Chilli from Big Time Gaming or Starburst from Netent. Use your bonus of up to £400 and increase your chances of winning! The Book of Cleopatra is a new Stakelogic slot that will delight all fans of online slots. The game, which is already available at Videoslots Casino, has well-known features as well as some new features. Stakelogic has long been part of the Novomatic Group of Companies. Since the company goes its own way, other games have already been released such as White Buffalo Cluster Pays or the Book of Adventure. Novoline and Play’nGo fans can look forward to great games in the future too, because unlike Novomatic slots, Stakelogic slots are available in many online casinos! 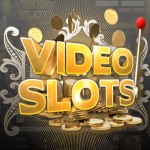 Play at Videoslots casino a total of 34 games – also accessible from smart phones and tablets. The top games are Book of Adventure, Sizzling Peppers, Las Vegas Fever, Dragon Mystery or Fruits Gone Wild. We do not want to introduce the complete slot here, because most of the features of the Book of Cleopatra you already know from Novomatic’s Book of Ra or the Book of Dead by Play’nGo. Like its prominent predecessors, the Book of Cleopatra has 5 reels and 3 reels. From 10p you can play all 10 paylines up to a maximum of £50. The same Egyptian symbols then end up on the reels, and the book symbol is the Scatter and Wild symbol. But you can also activate the free spins in another way. 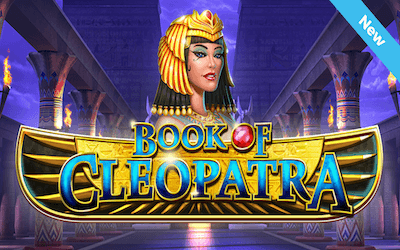 Book of Cleopatra – Buy free spins and double it! This brings us to the only but very exciting change in the way the Book of Cleopatra works. Now you have the opportunity to buy your free spins directly. Depends on your line bet you pay a particularly amount and after that you play your free spins directly. Second innovation also concerns the free spins. You are able to double up the amount of free spins! You have to consider to gamble for more or simply play your free spins. Both features have of course a real thrill factor, which is unbeatable and loved by the player. You are one of those? The Sloty Casino belongs to the Genesis group where 4 further popular online casinos belongs to. The casinos licensed in Malta and the UK offer you an exceptionally good portfolio of games, which has now been supplemented by another famous provider. These are Yggdrasil Gaming, a company founded by former Netent SEO Frederik Elmqvist. That was already in 2013 and to date Yggdrasil Gaming has released more than 40 slots. These games can you play now in the Sloty Casino and all partner casinos such as the Casino Cruise or Spinit Casino. Yggdrasil Gaming was one of the first companies to develop their slots in HTML 5 only. With this revolutionary programming language, players could not only play the slots on the desktop, but also on the tablet and smart phone. Thus, of course, these slots are also available for you on the go. Here you can test some of the best Yggdrasil gaming slots for free. The top games of Yggdrasil are u.a. Orient Express, Seasons or Jungle Books. 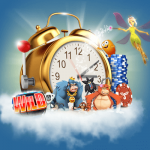 In Sloty Casino are now all 47 previously published slots available. In addition to the now launched Yggdrasil Gaming Slots, the Sloty Casino has other games providers which are among the best in the online casino industry. These include Netent, Play’nGo, Microgaming, QuickSpin and the NYX Gaming Group. The gaming portfolio is impressive with more than 1300 slots. Among theme are all famous online slots and an impressive range of table games. The newest slots are e.g. Coins of Egypt by Netent, Cash of Kingdom by Microgaming, Iron Girl by Play’nGo or Wolf Hunters by Yggdrasil Gaming. In addition to the video slots, there is also a live casino from Evolution Gaming and Netent. Thus, the offer is very varied and of high quality. Evolution Gaming is known to be the market leader in online casino live streams. Incidentally, there is also a virtual live blackjack table, which also comes from Yggdrasil Gaming. You can also find it in the Live Casino section of the Sloty Casino. As mentioned above, at Sloty Casino you can redeem a bonus and free spins after registering. Definitely recommended for you is the first deposit bonus, because you can play 300 free spins for a minimum deposit of £10 only. Play your Free Spins on Netent’s Starburst, Gonzo’s Quest, Red Riding Hood or Aloha Cluster Pays Slot! If you want to redeem a higher bonus, go for it! Double your first deposit in the Sloty Casino to up to £300. The entire bonus package consisting of the first 4 deposits has even a value of £1.500! Of course, the Sloty Casino as well as the partner brands are absolutely reputable and over the years. The casinos have earned an excellent reputation. The refers mainly to the great game packages, fair bonus offers and fast payments. With various means of payment (e-wallets – Neteller, EcoPayz, Skrill, Paysafe and many more), you can not only deposit in seconds, but also make quickly payouts. Support is available around the clock in many languages. Yggdrasil Gaming’s Trolls Bridge Slot will be available in all Yggdrasil online casinos from January. The slot is playable on all devices including Smart Phones, Tablets and Desktop. With a top profit of £250.000 and an RTP of 97% you play for top profits under very fair conditions. 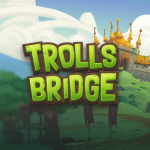 The Trolls Bridge Slot is available in renowned casinos such as Genesis Casino, Spinit Casino, Vegas Hero or Casino Cruise. There you will find all Yggdrasil Gaming online slots including the top titles Easter Island, Orient Express, Wolf Hunter or Jungle Books. 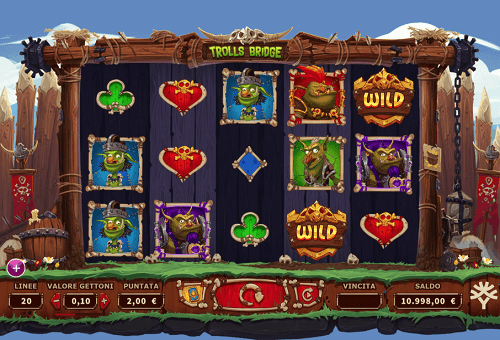 Like many other Yggdrasil games, the Trolls Bridge slot has many additional features. These include pick-and-click bonuses such as added wilds, additional free spins, multipliers and high payouts. Optionally, you can also play with a Golden Bet, which triggers even faster and higher winnings. The highlight of the game is the free spins feature but there is also a special feature in the base game. Here you have the opportunity to hit the bonus pot or unleash the bonus stone, which smashes the reels with multipliers or winnings. In short, the Trolls Bridges Slot has everything what slots fans looking for! In time for the start of the Trolls Bridges Slot you can also redeem a bonus in several Yggdrasil casinos. You then have the opportunity to play with a bonus on a wide range of slots, but you can also redeem additional free spins. For example, at Genesis Casino, if you make a deposit of just £10, you will immediately receive 300 free spins that you can play at the famous Starburst Slot. With your first four deposits you will also receive a bonus of up to £1.000! You can get more bonuses and free spins in the Casino Cruise (200 Free Spins), Sloty Casino (300 Free Spins) or Spinit Casino (200 Free Spins). In addition to the fantastic selection of Yggdrasil Gaming slots, you can also play games by Netent, Microgaming, Play’nGo, NYX Gaming and Quickspin. There is also a live casino from Evolution Gaming and other live tables from Net Entertainment. All casinos also have a Malta and UK license! You can redeem your bonuses in the casinos immediately after registration. In addition to the free spins you also get a 100% bonus up to £200. You can also activate the bonuses and free spins from your smart phone. Registration takes no longer than a minute and you can play right away! Deposits and withdrawals can be made using Neteller, Skrill, EcoPayz, Visa, MasterCard, Trustly, InterCash, GiroPay, Bocu, Euteller, Entropay, iDebit, Interac, Instadebit or Easy EFT. Payouts will be processed within 24 hours and transferred to your selected means of payment.